Prenup is a pastel lilac creme and the polish combines everything I love in the one bottle. Purple + pastel + opaque + great formula = happiness. 2 coats is pictured. Sugar Daddy is a packed silver glitter that looks absolutely fantastic in the bottle and exactly what I've been on the hunt for for quite some time. Unfortunately it didn't live up to my high expectations. as I found the formula quite thick and it applied lumpy which is very different to all the other Kester Black shades in my collection. I'm hoping I just got a dud bottle? I added a few drops of thinner after swatching though and that seemed to do the trick luckily. 2 coats is pictured (before thinner). Once I thinned it down I applied Sugar Daddy as a reverse glitter gradient over 2 coats of Prenup which I love the look of! 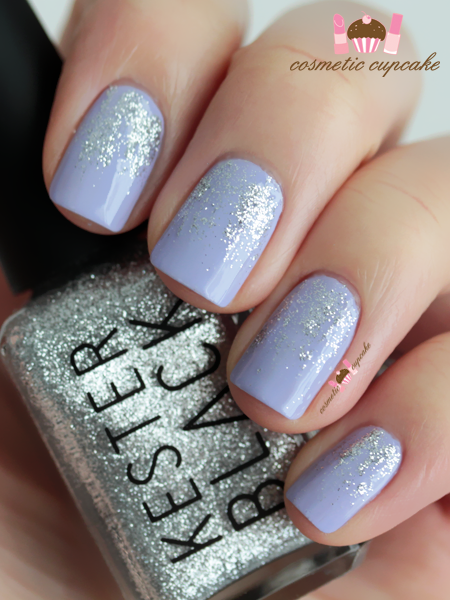 A reverse glitter gradient is always one of my go-tos for easy and great looking nail art. Details: The Kester Black Trophy Wife 14 collection is available from the Kester Black online store for $20 each or $38 for the set. I'm on a spending ban because I'm off to Japan in October (SQUEEE!!!!) but knowing me I'll most likely give in sometime and purchase the new collab set. 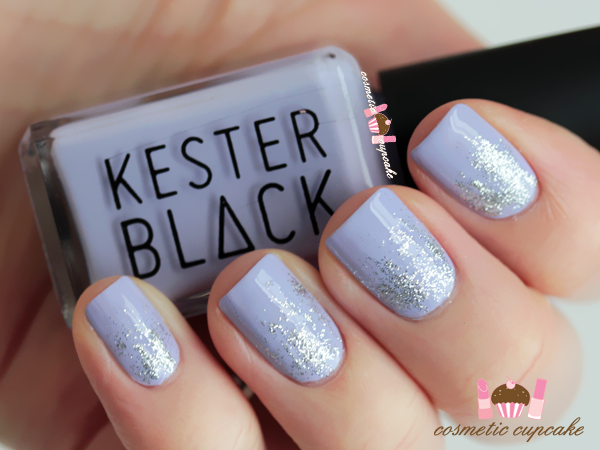 Have you tried Kester Black polishes before? What are your favourites? My Sugar Daddy polish is very thick and gluggy too but I think it's amazing because it's so opaque in 1 coat! It's probably my most used nail polish for clients! Lovely swatches Michelle! Can't wait to try the new collab shades too! 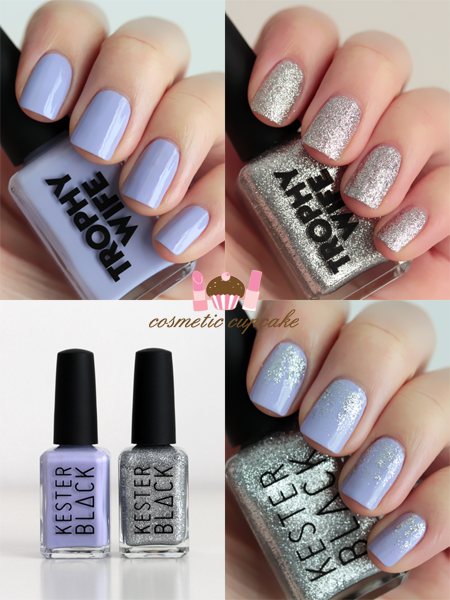 omg i love how u did the combo of both polishes its sooo cutee!